our crown has already been bought and paid for. 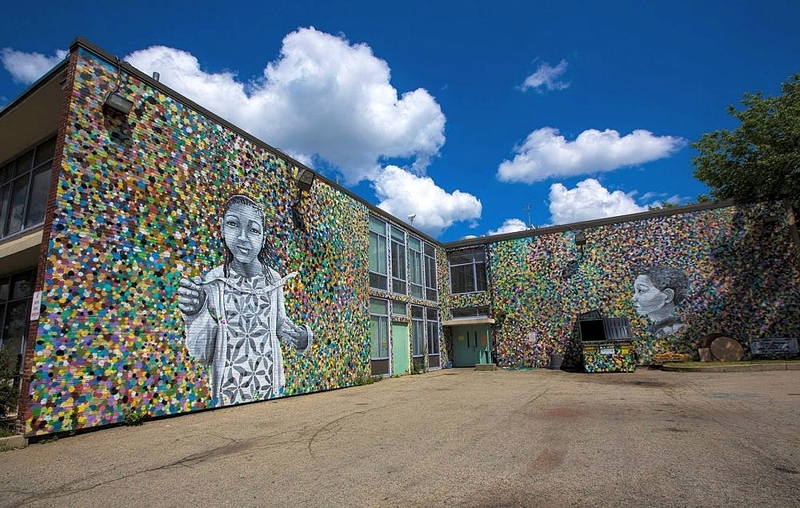 In this edition of Street Art + Food, I wanted to highlight a neighborhood in Boston that is going through dramatic changes. Roxbury neighborhood in Boston exemplifies the strength and resilience of the city, and yet its residents have been pushed, pulled and dragged every which way as of late. The changing scene may be providing some needed economic revival to the area, however, the city is grappling with how to deal with the looming threats of displacement + gentrification affecting residents who have lived in the area for years. During my graduate capstone project, I studied the disparities of health in neighborhoods across Boston, and Roxbury repeatedly came up as an underserved area. Roxbury consistently reflected a high percentage of uninsured individuals, with some neighborhood tracts seeing rates of 17% uninsured. Health is not the only disparity affecting Roxbury. Increasing housing demand and low stock on affordable homes is a continuous threat to residents earning less than the city's median income. Cost burdened households are vulnerable to the city’s changing rental market, and become even more vulnerable without adequate health coverage. 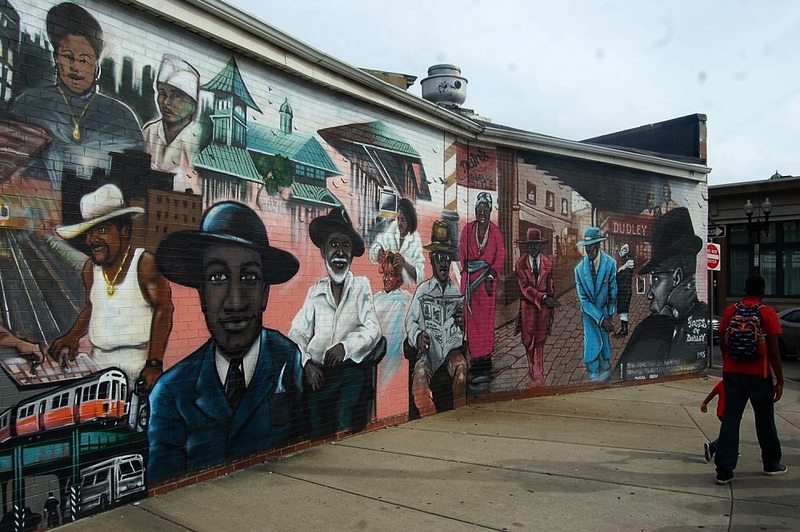 The murals in this neighborhood are testament to the rich culture of the neighborhood. 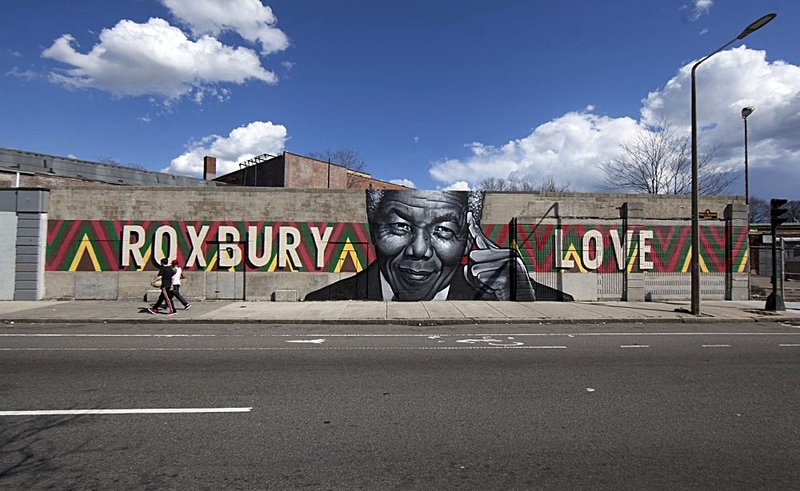 Nelson Mandela visited Roxbury in 1990 just shy of four months since his 27-year sentencing for his efforts to end apartheid in South Africa. The artistry depicted in the above mural really encompasses the LOVE Roxbury residents have for the neighborhood and serves as a reminder of unity + strength through every barrier faced. Recently, Heineken was bold enough to try and mimic this iconic mural in the city, and was called out profusely for its refusal to credit the local artist's designs and plagiarizing their imagery. You can learn more about it through Arielle's Gray literary breakdown for Medium HERE. What draws me the most to Roxbury is its continued activism and local flavor that promotes awareness and community through every corner. Haley House Bakery Café offers healthy, delicious food and a vibrant space where all are truly welcome. While enjoying flavorful, locally-sourced food prepared from scratch on site (often using produce from their own urban agricultural sites! ), and admiring the work of local artists and performers showcased, each purchase also supports the men and women being trained and employed. As a social enterprise, Haley House Bakery Café’s mission is ambitious: to support the physical, economic and social well-being of the community. Their Transitional Employment Program provides on-the-job and life-skills training for those transitioning out of incarceration and their Take Back the Kitchen Program introduces young people to the power of cooking from scratch and making other healthy lifestyle decisions. When the café is closed, the space is available for rental for meetings, gatherings and holiday parties. Haley House truly is a gem and the blueprint of how local small businesses are the backbone to our communities. An additional powerful voice in the community is The RoxVote Coalition. 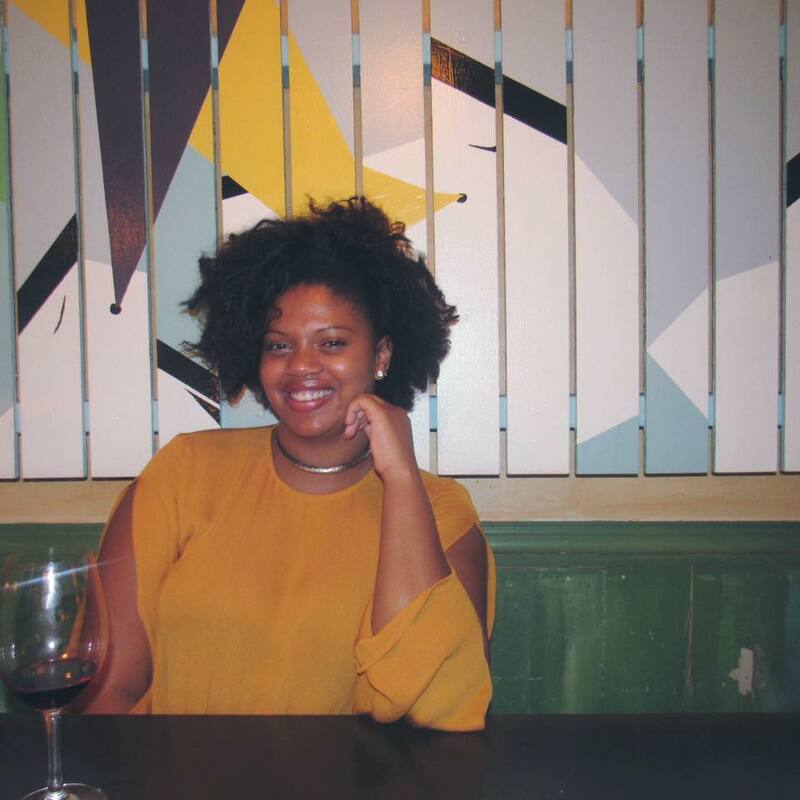 Through its efforts, The Roxvote Coalition has formed a team of private and not-for-profit actors in Roxbury to strengthen and amplify the voices and interests of Roxbury residents. Through community forums, debates, and neighborhood leagues- The RoxVote Coalition has ensured that residents in the neighborhood have an outlet for their concerns and ensure that elected officials are held accountable to meet their demands. Reclaim Roxbury is another prominent figure in the call to action that residents have come together to form. This community organization works to ensure residents have a voice in how their needs are met during current and future development planning processes. Reclaim Roxbury envisions a future for Roxbury where the needs of all become the concerns of all and where Roxbury residents seek to achieve policies that lead to peace and prosperity for all. Through these organizing efforts, Roxbury is maintaining a seat at the table. The empowerment of this community relies heavy on these organizational platforms that bring neighbors together, advance youth to fulfill their potential and bring light to the challenges endured. Malcolm X is depicted in the famous "Faces of Dudley" mural. Before he became the prominent figure we admire today, Malcolm Little moved for a short time to Massachusetts and resided on Dale St. in Roxbury. His time here was short due to his incarceration, which historians credit as a critical time in his life which allowed him to study the Qu'ran, and solidify his revolutionary philosophy. Thank you to local designer + powerhouse queen Warlene Rene for this enchanting blouse. The pattern stole my heart! Fuschia Files has always had a love affair with her designs. Check out our Showroom Feature on Warlene Rene HERE. My Dominican senses go off immediately when I am near Merengue Restaurant. The decor, the staff, and delicious food transport me back to my beautiful island each and every time! It's deff a must visit if you are in the area! 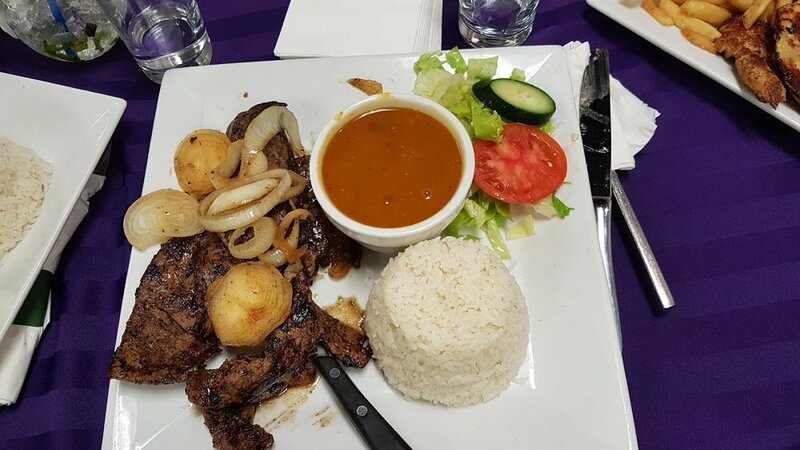 Merengue Restaurant. Photo credit: Zagat. The beauty and complexities of neighborhoods like Roxbury are what make the patterns of Boston strong. Through its resilience, ever-enduring determination, Roxbury's strength is signified through its people + culture.